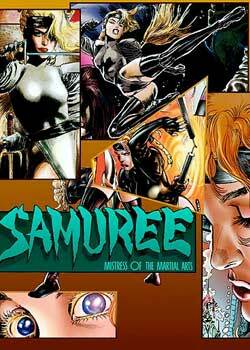 SAMUREE, Mistress of the Martial Arts- An Air Force transport crash-lands on a nearly unknown island, in the Sea of Japan. A small girl is the only survivor. She is raised by a community dedicated to the martial arts. Mercenary terrorists bring strange experiments to the island, nearly destroying the warrior clans. The island’s most powerful warrior, Samuree, destroys the mercenaries and is finally rescued by an American Air Force pilot, who takes her home to America. Lost in time, she learns to be an American girl and tries to get over the fact that she’s the most powerful martial artist on Earth. 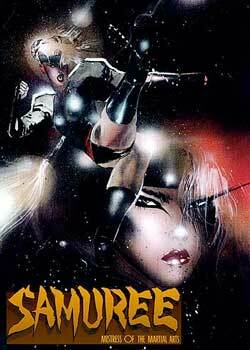 But modern America has its own terrors, and Samuree has her own ways of dealing with them.